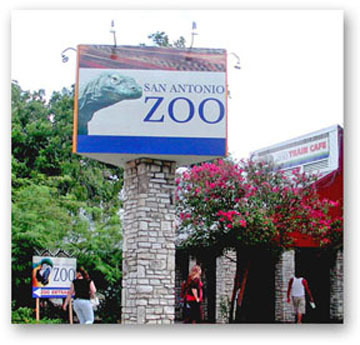 Our outdoor signs make a great impact and withstand the rigors of outdoor life. Outdoor signs can be used to promote a service well done, let potential tenants or purchasers know all the information they need or simply point people in the right direction. With a wide range of solutions to fit any budget we can assist you in selling or generating referrals. We offer more economical plastic corrugated stake signs to the traditional, more durable metal-framed and wooden signs. Take a look at our Outdoor Signs Portfolio here. 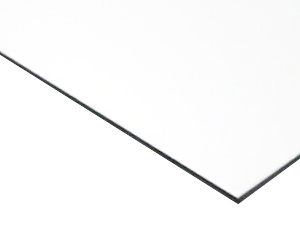 3mm thick aluminum composite panels are a lightweight, highly durable and strong substrate that resists scratching and denting better than wood panels. They come single or double sided and are typically constructed out of a thermoplastic core sandwiched between two sheets of aluminum. Can be used indoors and outdoors for many different projects. MDO panel is made of plywood with a weather-resistant resin overlay bonded to the wood by heat and pressure. 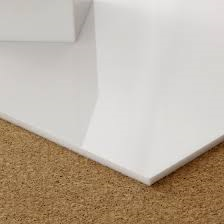 The overlay, which has at least 27% resin content, resists water, weather, wear and degradation. 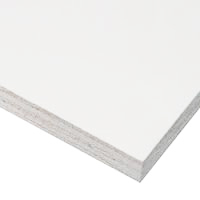 It is 1/2" thick and is great for long term outdoor signs. 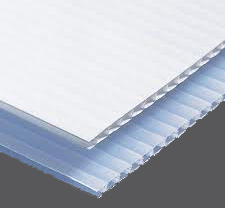 Styrene is a lightweight flexible plastic sheet. It is great for hanging signs and frame signs. Aluminum signs come in single sided and double sided sheets. It’s a flat, rigid metal substrate that is lightweight with a baked enamel finish made to withstand the elements for long-term outdoor and indoor use. It can be used with many different frame systems and will not rust. Available in .040 and .080 thicknesses. Acrylic signs are made of an extremely versatile plastic sheet with a glossy finish, which is also known as Plexiglas®. Acrylic is the perfect choice when you want signs with a sophisticated, high-tech look. 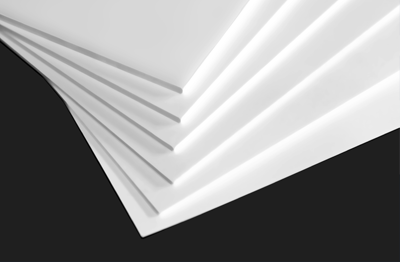 Acrylic is highly durable and is often used for illuminated signs.